Two brothers who mocked a judge on Facebook after she showed them mercy have been jailed for two years. Daniel Sledden, 27, had posted an obscene message on the social media site – just 40 minutes after Judge Beverley Lunt gave him a suspended sentence for selling cannabis to friends earlier this month. 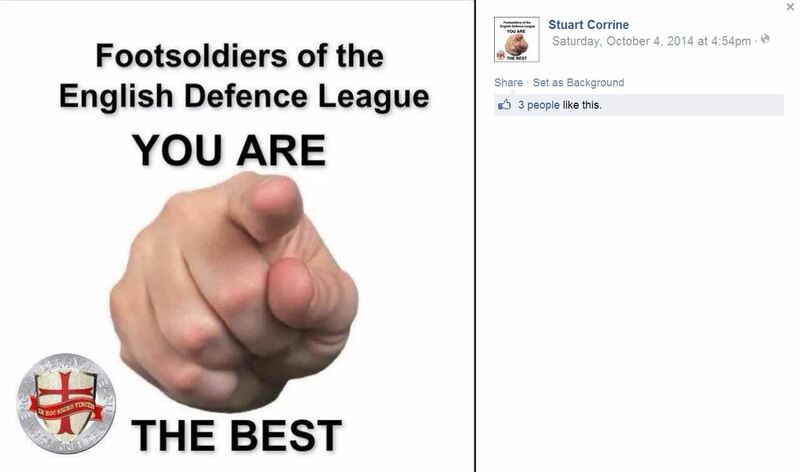 His brother and co-defendant Samuel Sledden, 22, who also had admitted drug dealing, also commented on the post. Both brothers were hauled back before the courts for a review of their sentence after the Facebook posts were shown to the judge. At the hearing, Judge Lunt said she was ‘misled’ by their words of remorse and contrition to the probation service and ‘must now put this right’. Sentencing, she said: “These were not private entries in a diary which have been inadvertently published. “They were placed on Facebook with the clear intention that others should and would read them and if they wished to share them so there is a limitless audience. 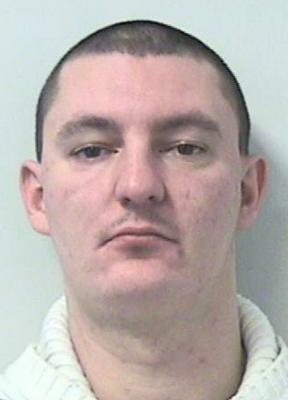 “Daniel Sledden’s post was only 40 minutes after I sentenced him. Samuel Sledden’s was one hour and 25 minutes and their content is clearly indicative of how they really felt about appearing in court for this particular offence. Their tone is boastful and jeering and the only reasonable inference in my judgement is they believed and were boasting that they had somehow fooled and misled the court. Judge Lunt said the posts were only deleted from Facebook and apologies posted after being contacted by solicitors. She added: “Each of the posts indicated they hadn’t changed at all. They haven’t taken on board anything or learned responsibility and there is no remorse at all. “It is not possible to put any reasonable positive spin on the posts that either defendant as being some clumsy way of how lucky they had been to be given a second chance. “The tone in each case is one of contempt and gloating, Emoji’s included. “I’m entirely satisfied that in this case there is evidence brought before me which leads me to the short conclusion I was misled by each defendant on grounds of remorse and contrition and how much they had changed in the intervening months. Daniel, Samuel and their dad William, 45, all of Hopwood Street, Accrington, were all given suspended sentences after pleading guilty to being concerned in the supply of cannabis at the earlier hearing. Defence barrister Daniel Prowse said both brothers have now become international figures of ridicule. He told the court how they had acted in a ‘wholly improper way’ and will ‘never live this down’. Preston Crown Court heard how Daniel Sledden was contacted by his solicitor after the story about their comments was published by the M.E.N. and was ‘advised and instructed’ to delete the comment and put up an apology. 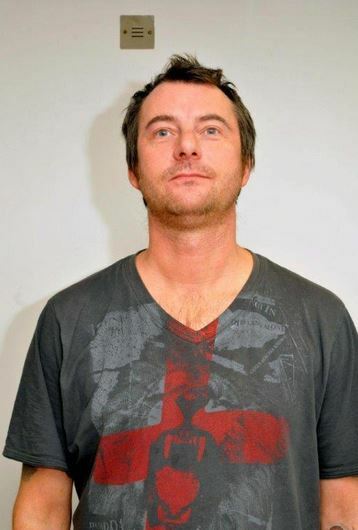 The post from Daniel Sledden read: “I want to say how sorry I am for what I wrote about Judge Lunt and my sentence. He said: “The comments demonstrate what little thought they were given because, ungrateful as they are, they are also nonsensical in so far as the offending comments are directed against the court which has in essence just given them a favour by not sending them to prison. They don’t even make sense. “Neither defendants assumed their comments would be seen beyond their group of friends on Facebook and they weren’t intended to be shared or communicated directly with your honour. “They have had time on remand to reflect on their stupidity and ingratitude. “Both have offered their apologies through their respective advocates and on a written basis. “Daniel’s comment, which was the more serious of the two, had been deleted from Facebook and he had put his apology on Facebook in that same very public medium. “They have become national if not international figures of ridicule because none of those stories have reported what they did in anything other than a wholly negative light and commenting on the rank stupidity and ingratitude. “Certainly word has gone forward that the kind of idiotic comments posted will result in people going to custody. 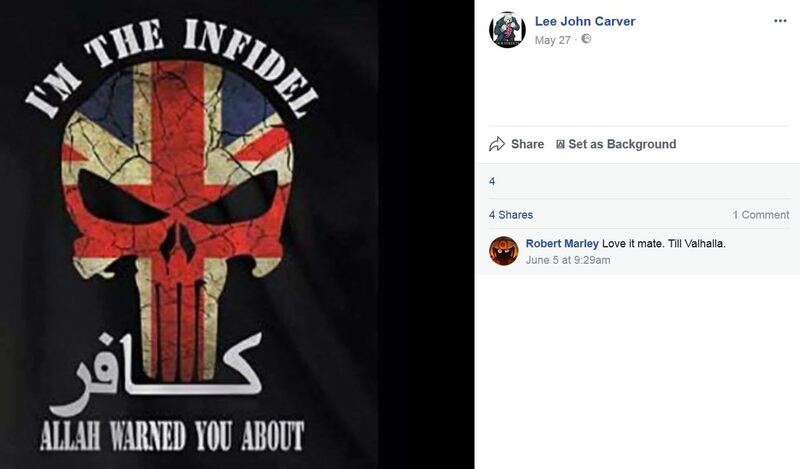 An Essex woman was cautioned by police for bragging on social media that she had posted dog poo through her Muslim neighbours letterbox the night of the attacks on Paris. 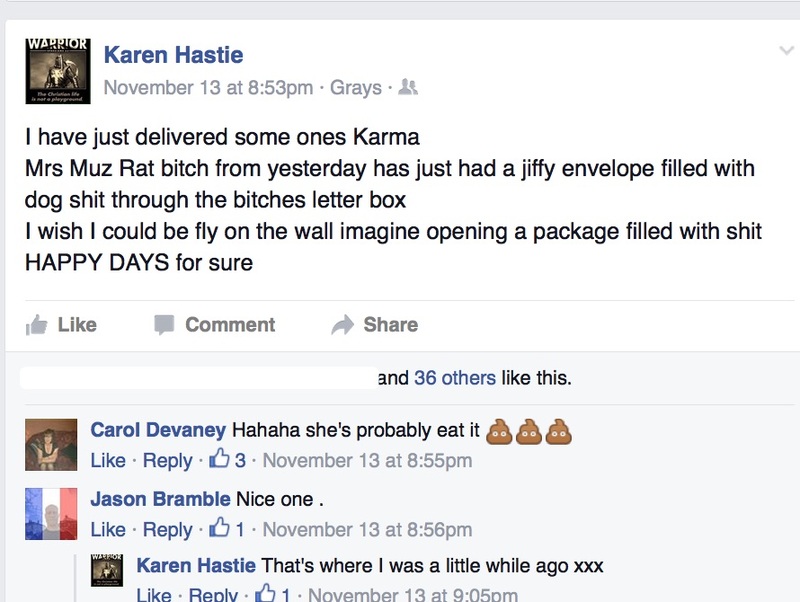 At 8.53pm on November 13, Karen Hastie, from Grays, put messages on Facebook stating she sent the gruesome package to deliver “someone’s karma” after Islamic State terrorists killed 129 people in the French capital. 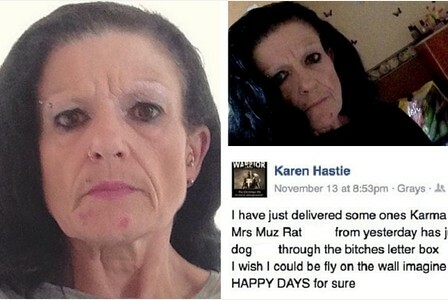 Friends of Ms Hastie commented with their support of her actions and encouraged a second rancid delivery. 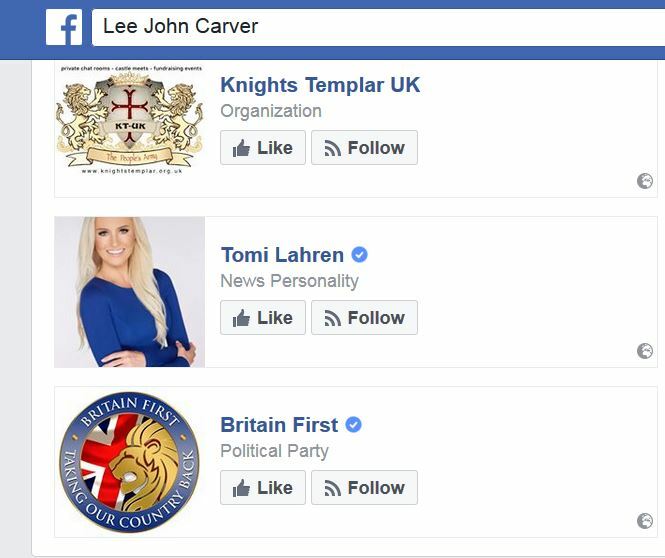 The posts were added to other social media sites and Essex Police confirmed the posts had been passed to their hate crime team to investigate. 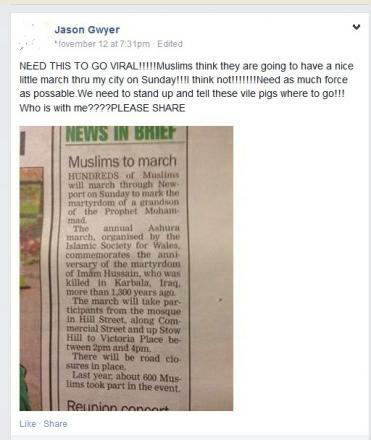 Essex Police issued her with a caution for malicious communications on November 23. 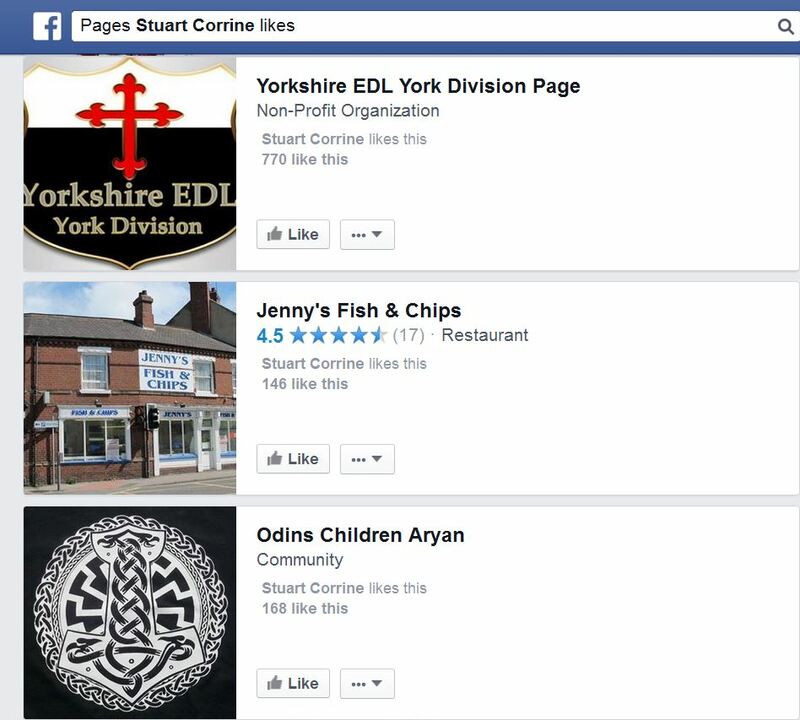 Ms Hastie is also said to have posted links in support of the English Defence League.